You might have dived with whales, filled a logbook or two, or been in some pretty brag-worthy locations. But what separates the novices from the pros isn’t about the coolest animal you’ve seen, the number of dives you’ve racked up or the warmest water you’ve enjoyed – it’s about buoyancy, and whether you’re the one kicking up sand from the bottom or floating gracefully through the ocean. It all begins with how much weight you carry and where you carry it. 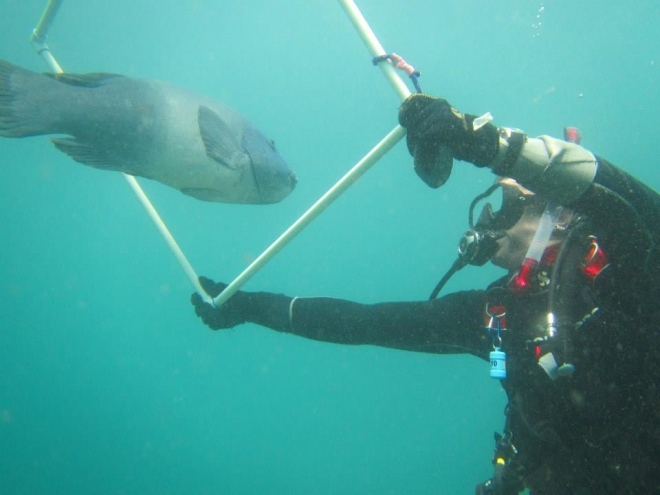 New divers always seem to be overweighted because they have trouble getting down initially – I was loaded up with 22 pounds on my first few dives! Even then, someone underneath usually had to pull my leg to get me down those first couple of metres. My instructor suggested I burp to let out some air, and when I informed him that I can’t burp on command, he asked if I could fart on command instead (the answer’s ‘no’ if you’re curious). Now, I’m pretty comfortable with 14-16 pounds (which is still fairly weighty but I do have a long sleeve thermal shirt and a 7mm wetsuit because I’m a bit of a wuss when it comes to the cold). To find your correct weight, do a buoyancy check. With all your equipment on, enter the water until it’s too deep to stand and deflate your BCD completely. Hold your breath and just hang there vertically – you should float at eye level while holding your breath, and when you exhale you should sink slowly. If you sink with your breath held, you’re overweighted. You should do this check with an almost-empty cylinder and switch to a full tank for the actual dive. If this isn’t possible, do the check with a full tank and add a few pounds to compensate for increased buoyancy as you use up air. Be sure your weights are distributed so that you swim as horizontally as possible (not in a seahorse position where your fins are likely to stir up the sand). This means your weights should be forward towards your sides and stomach. If you find you have trouble getting down, here’s a tip: as you’re about to deflate your BCD for your descent, take a deep breath, jump out of the water a bit and then deflate your BCD as you come back down, letting out your breath as you do. That extra bit of height you get when you jump up means that gravity helps you get down a bit more easily. 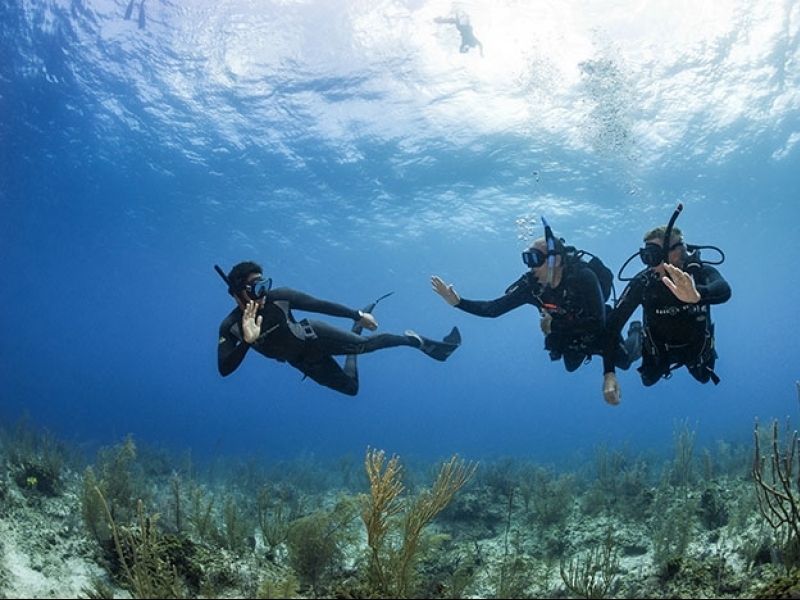 There are three reasons you will need to adjust your BCD underwater: as you descend and lose buoyancy (your wetsuit is compressed as you go deeper), as you use up air and become more buoyant, and then as you ascend due to increased buoyancy (your wetsuit expands again). The BCD isn’t what you use to fine-tune your buoyancy – your lungs are. When you first descend, take your time to adjust your BCD and become neutrally buoyant. Once you are, you’ll find that you hover easily and that breathing in causes you to rise slightly, and breathing out will cause you to sink slightly. With practise, this is how you’ll move up and down in the water when you need to rise over a rock or go down to get a closer look at something. But that’s the key – PRACTISE. Don’t expect to become an expert overnight. What definitely helps is the Peak Performance Buoyancy module of the PADI Advanced Open Water Course. 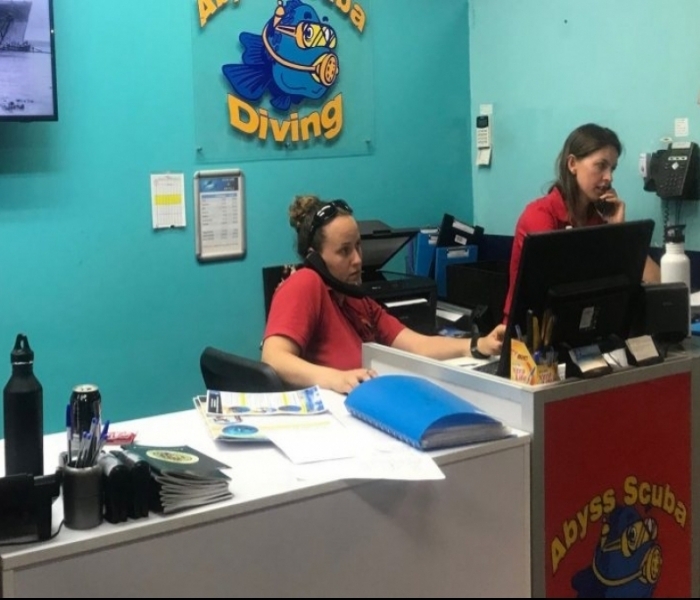 At Abyss, this is done first so that you get the most out of your following dives. Just want to stick to buoyancy? You might be interested in undertaking the PADI Peak Performance Buoyancy Course.